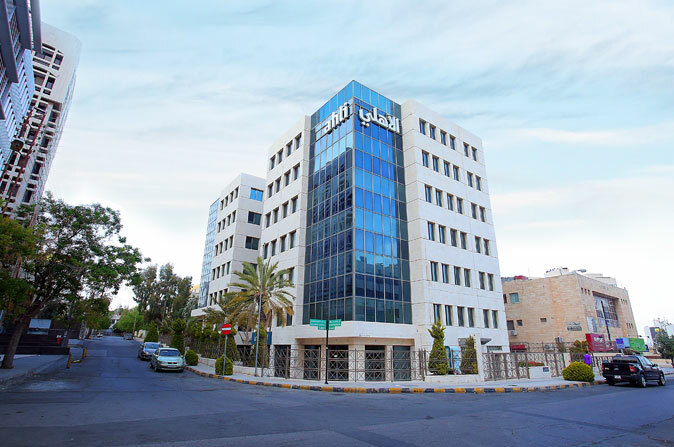 Founded in 1955, Ahli Bank is one of Jordan’s largest lenders for SMEs, providing a lifeline for emerging businesses across the economic spectrum. The bank is now cementing its strengths through a new “Shared Prosperity” strategy. In a mission that began along-side Jordan’s current Prime Minister, then the bank’s Chairman, Ahli Bank has radically overhauled its governance framework, as well as instituted a new ‘Shared Prosperity’ strategy, a first for Jordan. Already the lifeline lender for SMEs in the nation, Ahli Bank is now forging a stronger path to continue supporting growing businesses with a dedicated innovation team, says Ahli Bank Chairman Saad Mouasher. When did Ahli Bank begin its corporate governance overhaul? When I joined the board in late 2014, the first project our board spearheaded with our then- Chairman, Dr. Omar Razzaz (Jordan’s current Prime Minister), was to hire Deloitte to benchmark our corporate governance against international best practices. We came up with a gap assessment, and we’ve been working since then to fill those gaps. Today, Ahli Bank is not only aligned with global governance best practices, but we are also a small step away from exceeding these global standards. In brief, what is the bank’s differentiation strategy? We’re the first bank in Jordan to deploy a true ‘Shared Prosperity’ framework, where we’ve created indices to measure value being created for every stakeholder, including our regulators, customers, employees, communities, and shareholders. We believe a strategy of creating shared value, rather than simply shareholder value, will reap great rewards for all stakeholders in a way that points to the future of conscious capitalism. For customers, we have created a Customer Experience (CX) index. This is a unique solution that we have designed internally, which we believe we can also commercialize to support other organizations around the world to measure and improve customer experience. We have also deployed an index to measure Employee Experience (EX). We believe that in order to fundamentally improve Customer Experience, we need to also structurally improve Employee Experience, and there is a direct relationship between the two indices. The third index is for regulators, where we are using Deloitte’s global best practices governance framework to self-assess and report on compliance. For our community, we have become the first bank in Jordan to officially release a GRI-approved sustainability report that monitors and reports on our social, economic, and environmental impact. How does Ahli Bank plan to address the SME credit gap? We’re heavily focused on SME finance. Today, Ahli Bank is Jordan’s top bank on a pro-rata basis providing SME finance. When you look at our portfolio, the proportion of lending that we extend to SMEs is bigger than any other bank in Jordan. For example, on average, SMEs receive 8% of total lending from the market; for Ahli Bank, lending to SMEs represents 12-13% of our total portfolio, or approximately 50% higher than the market average. We are succeeding because we are specializing in SME lending, and are innovating new business models to address this promising segment. How is Ahli Bank utilizing new financial technology tools? We’re heavily moving in the direction of innovation with a large customer experience and innovation team. Today, Ahli Bank is the only bank in the region that owns a fintech accelerator subsidiary, an open banking API sandbox, and an entrepreneur in residence program. We are developing many unique, digitally enabled capabilities; for example, we were the first bank in the region to deploy an Arabic-language chatbot, AhliBot, and with so much more to come. Saad Mouasher has spent almost two decades of his career developing Jordan’s banking sector with his extensive expertise in Governance Reform, Technology, Innovation, Strategic Planning and Entrepreneurship, and acting as an active mentor and startup investor with a focus on global and innovation driven startups and businesses. Mouasher is an active board member in many non-profit organizations, including The Queen Rania Foundation for Education Reform, The Jordan Strategy Forum, Naua, and Endeavor Jordan.